The Congress on Thursday said the Narendra Modi government was harassing senior Congress leader P. Chidambaram's family but protecting those who fled the country after siphoning off Rs 39,000 crore of public money.The party said the government was harassing Congress leaders as it was rattled and wanted to divert attention from the unfolding scams.A court here on Thursday sent in CBI custody former Finance Minister P. Chidambaram's son Karti till March 6 in the INX Media alleged bribery case. "Chidambaram ji's family is being harassed to protect the government from the unfolding scams (bank fraud cases) as they are getting rattled with each passing day. 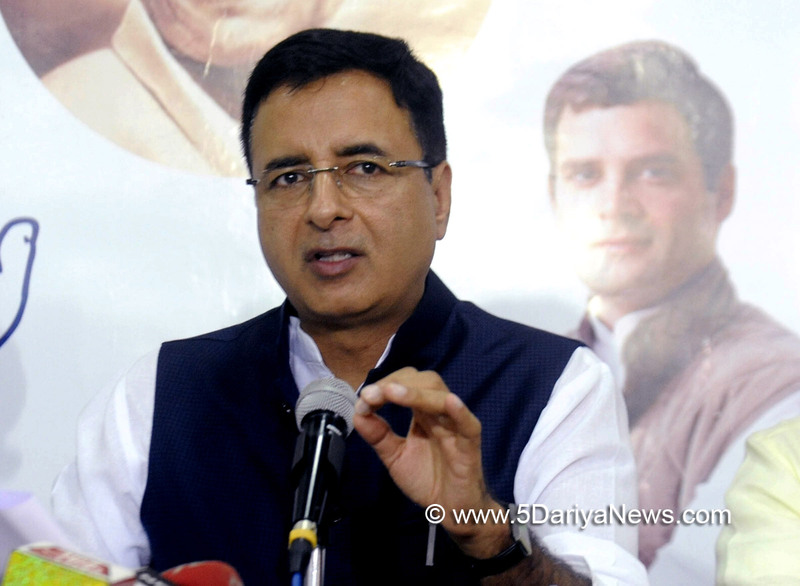 "We had mentioned earlier too that we have total faith in the legal process and ultimately the court will declare them innocent," said Congress spokesperson Randeep Singh Surjewala. "The question is -- a person is cooperating in the probe by appearing before the CBI regularly and you arrest him in an 11-year-old case of Rs 10 lakh consultancy fee. We have people who have fled the country after siphoning off Rs 39,000 crore."... the 3Ms -- Mehul, (Nirav) Modi and (Jatin) Mehta -- you are protecting them. What kind of justice is this (Prime Minister Narendra) Modi ji? The country wants to know."